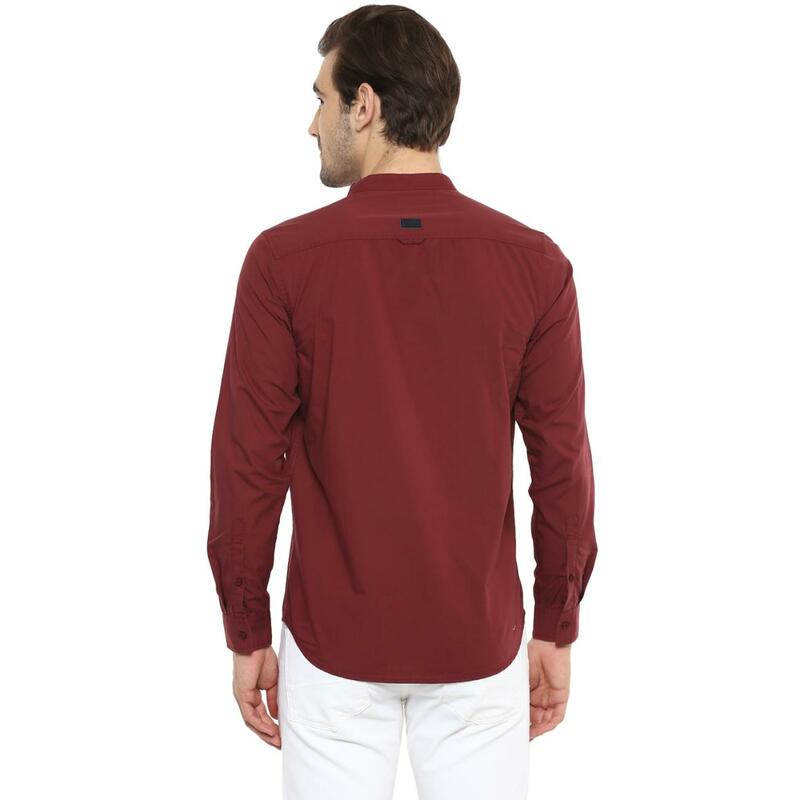 Boasting of a solid pattern and featuring classic design, this maroon coloured shirt from Red Chief is a fashion staple for modern-day gentleman. 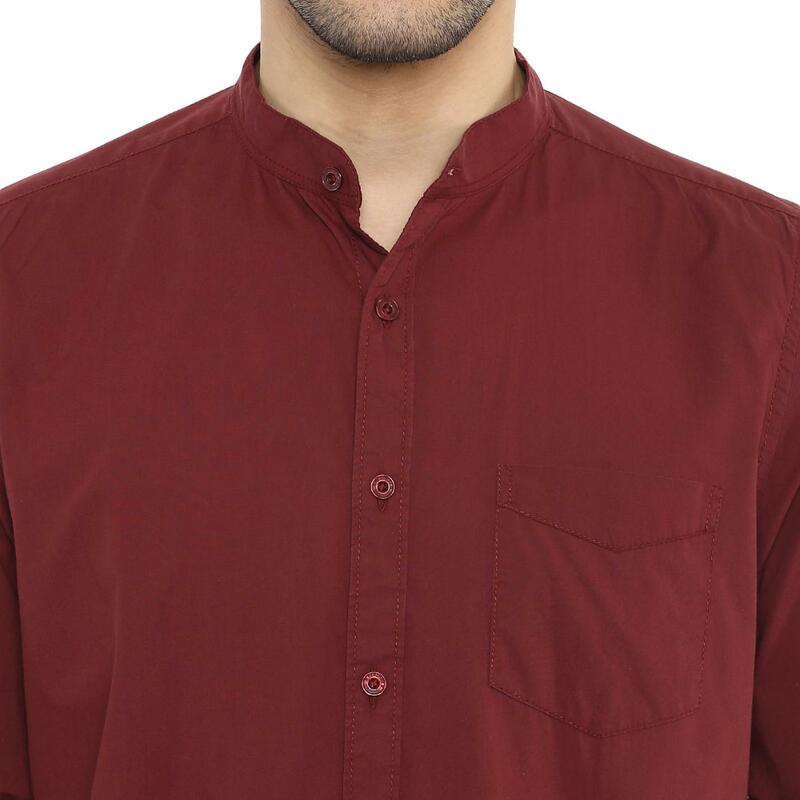 This shirt has a band collar for stylish appeal, full buttoned placket for ease of wearing and pocket on the top left for added functionality. 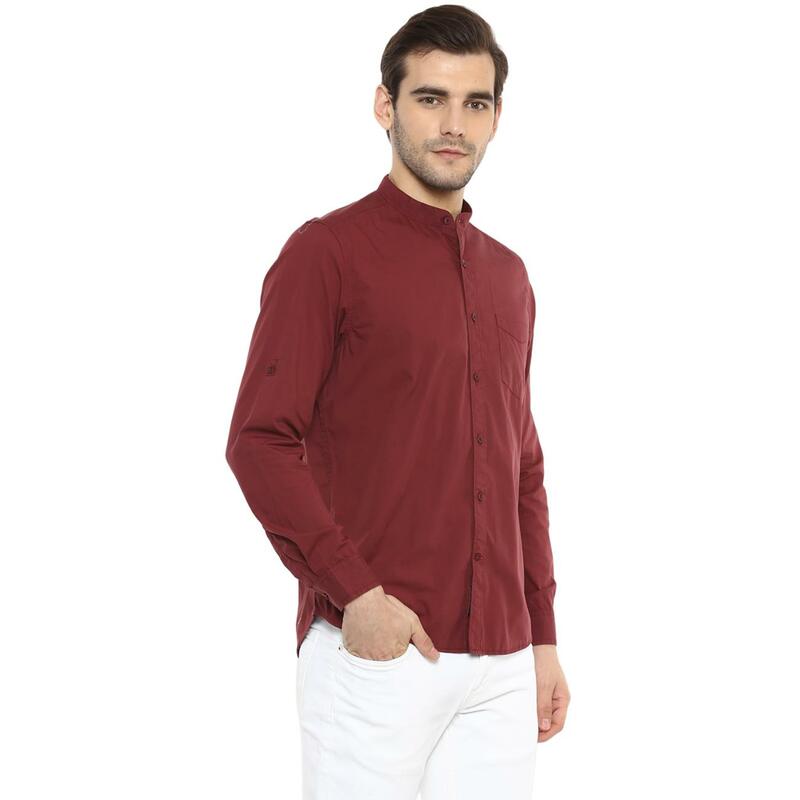 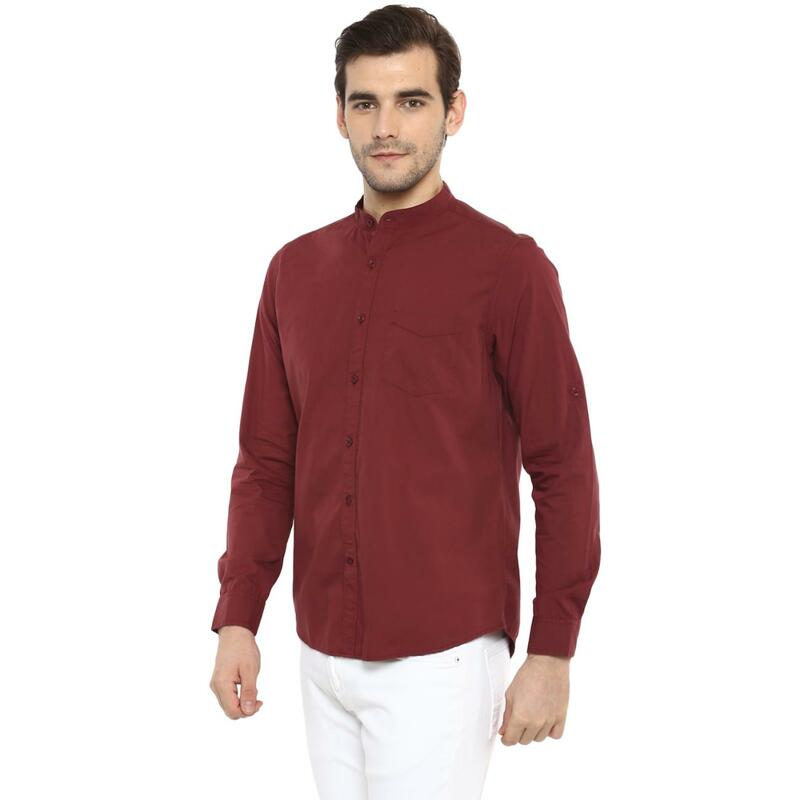 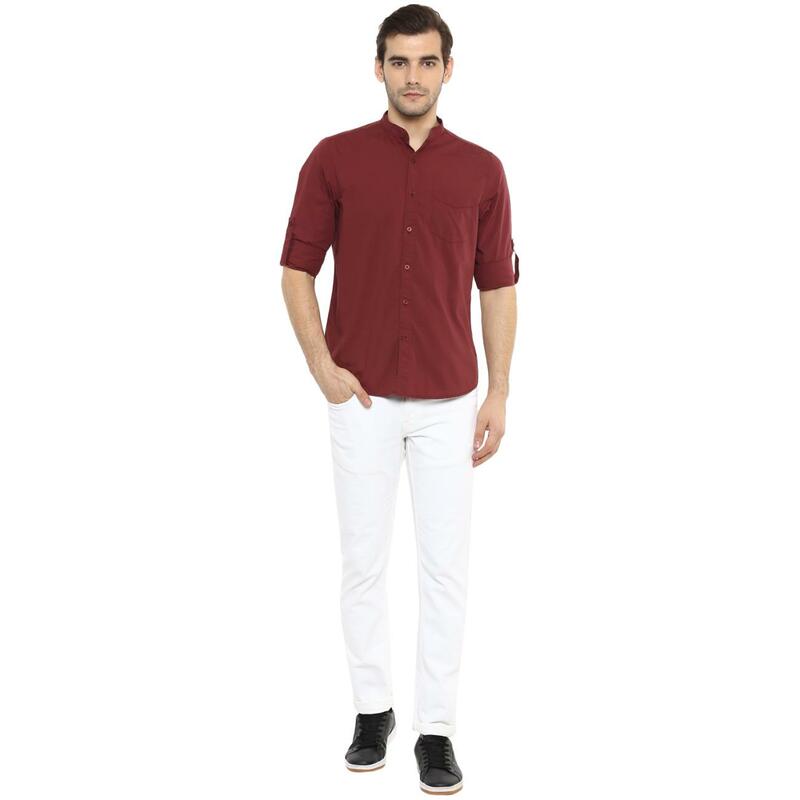 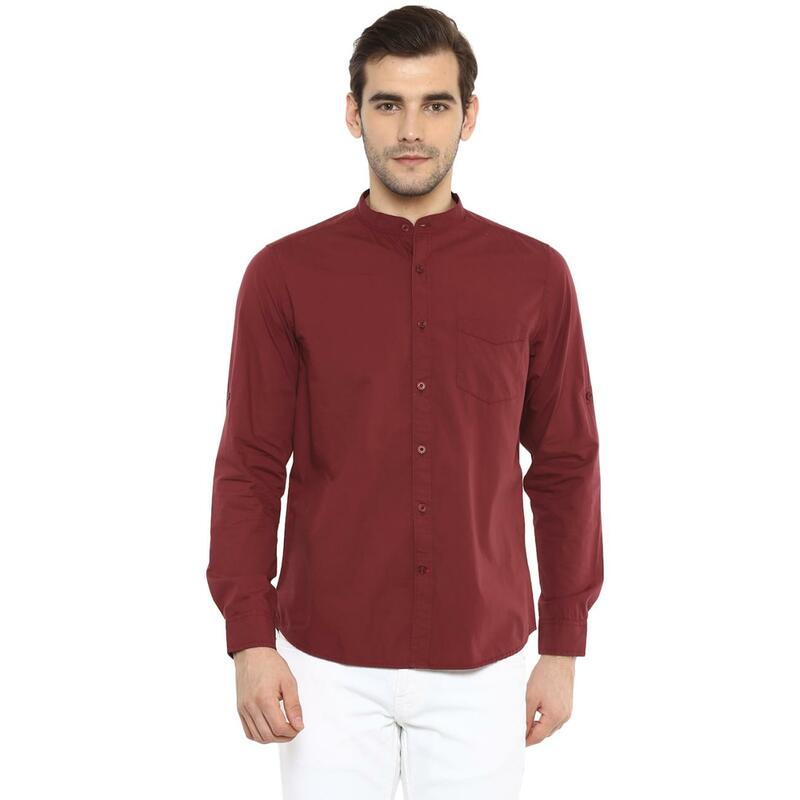 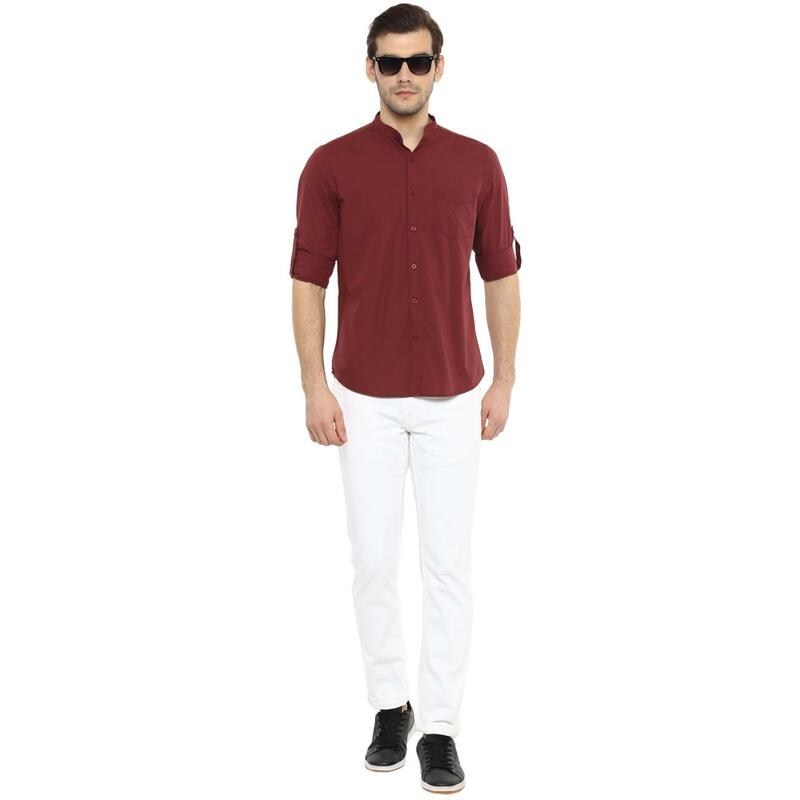 This 100% cotton shirt can be best teamed with a pair of white chinos and trendy footwear.